And why wouldn’t you get Lady Gaga to perform on the soundtrack after getting her to star in a movie? This third remake of David O. Selznick's 1937 film directed by Bradley Cooper is a love story between a singer songwriter and a veteran rocker. With the current pop music industry as a backdrop, we see how the girl climbs the fame latter while the guy spirals into a sad sack. We haven’t seen anything as well packaged as this 70 minute soundtrack in a while. There are outstanding rock, country and pop music to please fans of the different genres. More importantly, each track is accessible and affecting to make you want to own a piece of the movie, especially if you were left in tears when the credits started rolling. Gaga shines in every song. From her cover of Édith Piaf’s "La Vie en rose" and the show stopping “Shallow”, to the R&B extravaganza “Why Did You Do That?” and the heart wrenching “I’ll Never Love Again”, the multi award winning singer shows her versatility. Cooper is a pleasant surprise on the album. From the opening tune “Black Eyes” to the hard hitting “Alibi”, the actor lets his voice to bring out the boozy and exhausted character he plays. He also has solo performances in “Maybe It’s Time” and “Too Far Gone”, two songs lovelorn guys would want to sing to their partners. We’d love to see Rocket Raccoon sing in the next Guardians of the Galaxy movie. Duets like “Music to My Eyes”, “Diggin’ My Grave” and “I Don’t Know What Love Is” are instant classics which you can expect couples to play at their weddings and anniversary parties. You can feel the effort put into producing this album. 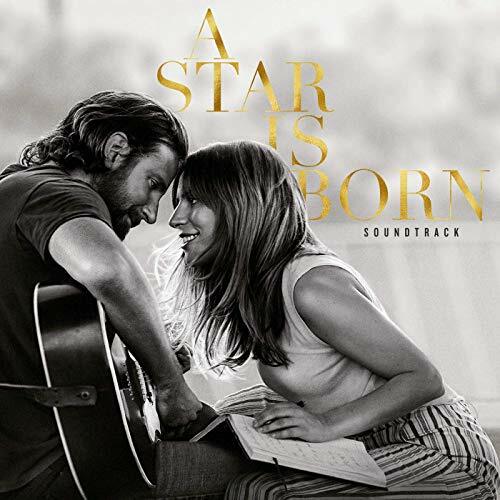 Gaga and Cooper collaborated on this project with familiar industry professionals like Lukas Nelson, DJ White Shadow, Jason Isbell, Mark Ronson, Diane Warren, and Andrew Wyatt of Miike Snow. If you loved the movie, this is the perfect accompaniment to relive the film’s most emotional moments.